Home & Business Rubbish Collection Lower Place NW10 | RDA Cleaning & Maintenance Ltd.
Our waste collection company provides professional rubbish removal services in Lower Place NW10. With its dedicated insured workers RDA Cleaning & Maintenance Ltd. will do everything in its power to bring you the best quality rubbish removal service available. We will transport all of the waste to the required destinations. Be it dumpsters or recycling plants. This way we ensure that our services are both efficient and eco-friendly. Every offer that we can present you will come at an affordable price. So, give our company a call at 020 3404 1646 or use the online booking form and we will send a team straight away. Our Efficient Lower Place NW10 Waste Disposal Is Suitable To All Of You! RDA Cleaning & Maintenance Ltd. is an experienced removals company with rich practice in the field. We specialize in all type of Lower Place NW10 waste disposal: garage rubbish removal, domestic, loft, small house appliances, furniture, garden, house and apartment rubbish removal, as well as for shop, office rubbish removals, as well as for IT and Tyre disposals. Do not hesitate to use our help after constructions or harsh builders work. Refurbishment waste is always fast and flexible. We deal with all types of rubbish, except for paint, food and hazardous products. We can help you out with the transportation and packing of rubbish. All the materials for packing and the van are included in the final rubbish removal price! Make sure you provide our technician team at least 30-meter parking space for the van. The rest is our job! RDA Cleaning & Maintenance Ltd. is a well-known professional waste collection Lower Place NW10 company. We know and always apply the most optimal formula for disposal wasting in your home or in your office space. The experienced technicians are trained to handle each individual case with a personal approach. Once they check out the junk you want to deal with it quickly, they will make you an offer. Only after decent negotiations about the correct date, the final price depending on the junk size, the transportation route and the details for the packing, the contract is signed. Note that you do not have to provide us any bags, cardboard or other packing materials. We only need some parking space to leave the van with all the necessary materials we will bring. All of our workers are insured, trained and professional. Our professional rubbish collection Lower Place NW10 services combined with the experience are one of the fastest and safest ways of getting rid of that rubbish that has been piling for a while. The company collects all types of rubbish. The first thing we do is sending a team which will evaluate the volume and weight of the things that have to remove. They will tell the resident the price that the service will cost. the customer. If they agree on it than our vetted workers can begin straight away. After everything is gathered they will then transport it to the nearest dumpsters or recycle area. For the purpose of being efficient to the maximum one, a team will use one dumpster or recycling area. So if you wish to contact a company that knows what it’s doing, get in touch with RDA Cleaning & Maintenance Ltd.. Please give us a call at 020 3404 1646 or use our online booking form and we will come to help you out. 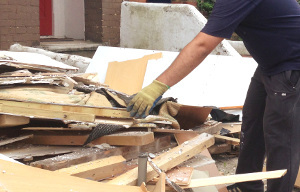 Get a free quote on our quality rubbish removal services Lower Place NW10.